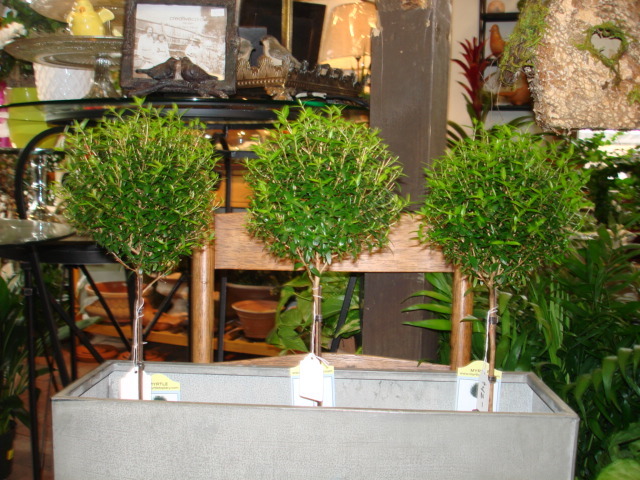 You must come in and see the myrtle topiaries we now have. These are some of the nicest we have had in recent memory. These plants are well shaped and come in a stylish clay pot. Myrtle likes bright, filtered light or some sun, and keep them slightly moist. Topiaries add a classic decorator’s touch to most any decor and will continue to please with regular pruning to keep their shape.